It’s a sad fact that millions of dogs (and cats) are relinquished to shelters each year. Sadder still almost half are euthanized before they ever have a chance at finding a forever home. Here are five reasons to adopt…not shop for your next dog. 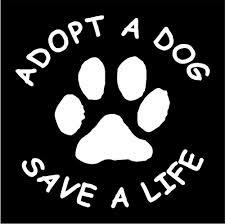 If you’re ready for a new dog, adopting your new companion means you’ve saved a life. Dogs in high-kill shelters often have only days to find a new home before the are put down. You’ll feel good knowing that the pet you just brought into your life is a dog that you saved. 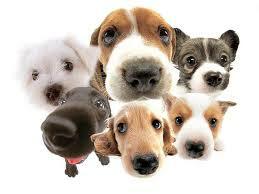 When you buy from a pet store or a breeder, you create a demand for more puppies. This means breeders will continue to breed their dogs to make more money. When you adopt, you’re providing a homeless and abandoned dog a new lease on life. Dogs who find their way to rescue generally receive some training from either the rescue organization or foster families. When you buy a puppy from a breeder, the sole responsibility for training your new canine will fall to you. Dog shelters have a wide variety of shapes, sizes, and breeds. In some instances, you can even find purebred dogs and puppies. And in most areas, breed-specific rescues are common, which means once you determine the breed you’d like, you can quite often find a rescue with dozens of possibilities. perfect partner. 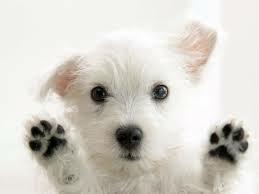 If you buy a puppy from a breeder or pet store, you have no idea how that dog will develop. Getting advice from people who’ve had training in pairing people and pups will ensure that you find the right dog for you.